Bright sunlight streams in through the glass sunroof as thousands of travelers make their way across the central halls at the Gare de l’Est. The Parisian landmark is a key terminal in the French railway system. 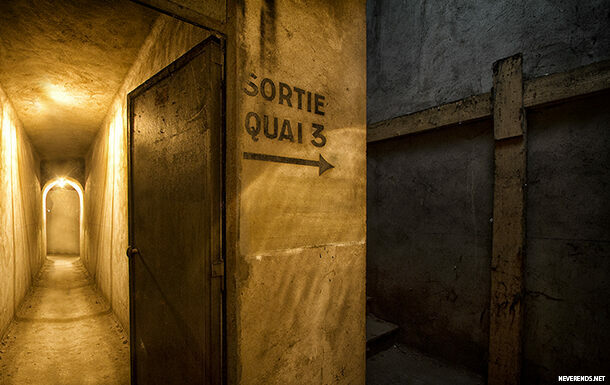 But underneath the daily humdrum activity there exists a carefully maintained bunker, whose history is shrouded in secrecy. The underground space stretches across 1290 square feet below platforms 2 and 3. Half-finished by the French who designed it as an air raid shelter, it was completed by the Germans during the occupation of Paris, as seen by the inscriptions on the walls. 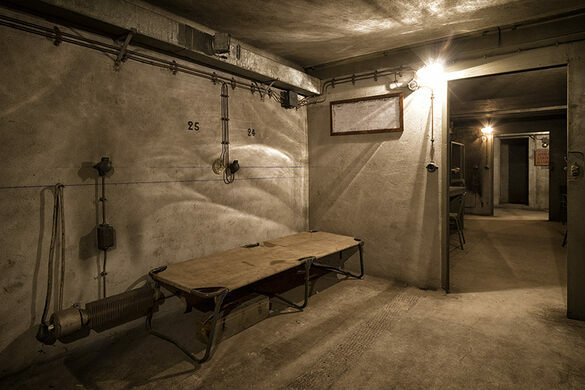 The subterranean chamber’s purpose and the extent to which it was used is unknown, but the key location suggests it could have been an important hiding place. 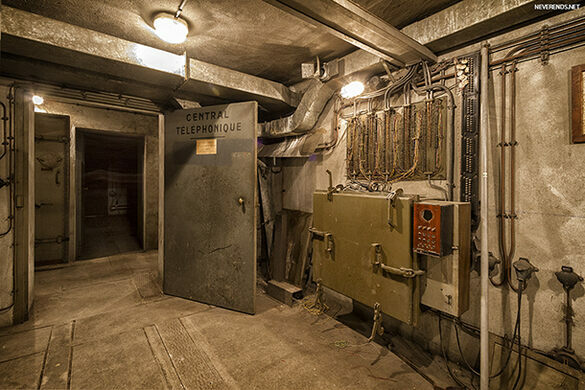 The different chambers include a telephone exchange and a machinery room and are connected by narrow passageways illuminated by yellow light. Wires, gadgets, pipes, and measuring devices line the walls of the rooms, which are maintained by the state-owned railway network SNCF. 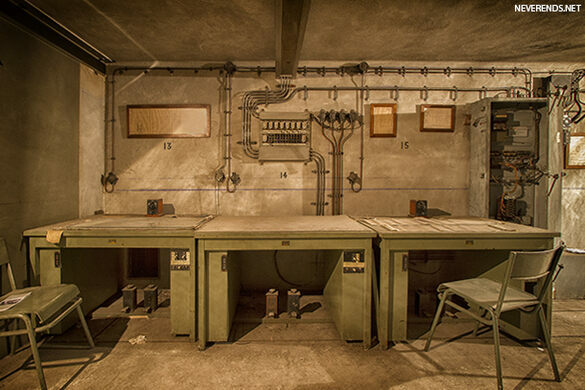 The bunker still contains metal chairs, tables, and oxygen cylinders. It is in excellent condition but generally inaccessible to the public.